Telling long, boring stories is not my thing, so i'll introduce myself by posting some pictures that will hopefully give you an idea of who i am. Modified by: Loveology and Daydream Lily. Header illustration by: Ana Laura Perez. 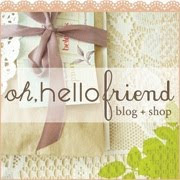 Footer and side bar design by: oh, hello friend. Header design by: The Drifter and the Gypsy. Sidebar animation by Fiep Westendorp. Please email me if you'd like your photograph removed!